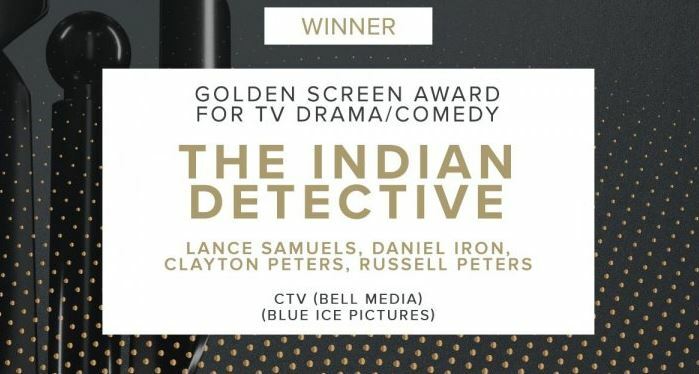 The Indian Detective – the four part limited series directed by Sandy Johnson – has won the Golden Screen Award at the Canadian Screen Academy, honouring the highest rated Canadian productions of the year. The show was also nominated for Best Limited Series or Program. Starring Russell Peters, William Shatner, Hamza Haq, Misqah Parthiephal, Scott Cavalheiro and Meren Reddy, The Indian Detective aired in 2017 and is available worldwide on Netflix. It was produced by Bell Media, Wonder Worldwide and Blue Ice Pictures.